There is a whole world around us to explore. 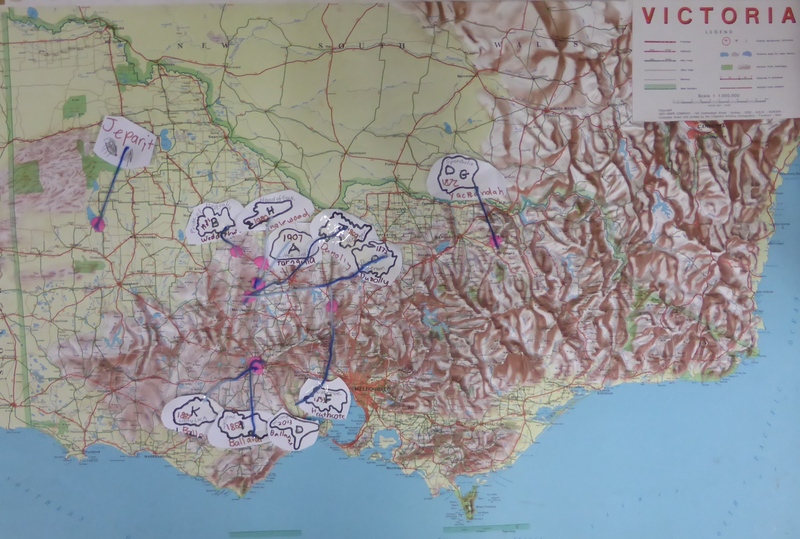 At the front of our senior room, we have a large map of Australia and another of the world. Have you thought about from where our Christmas songs and stories come? or where the biggest gold nuggets have been found in the world? 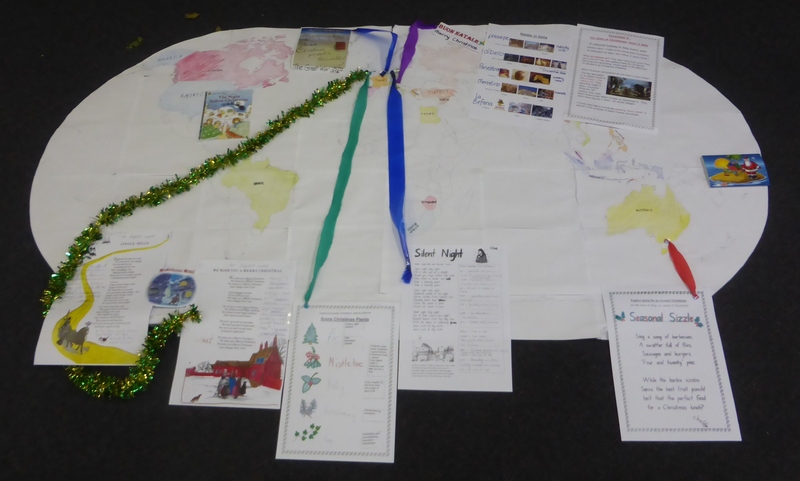 Below left is our map of the world with the songs and stories we used this year linked to the parts of the world they come from: England, Germany, the Front Line in Europe on 25 Dec 1914, Italy, America, and Australia. 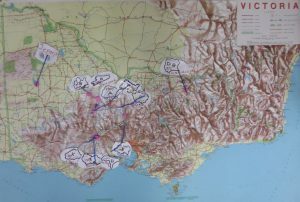 Below right is a map showing the shapes and locations of some of the biggest gold nuggets in the world – and they come from Victoria- and Jeparit. Both topics also involve history, e.g. see more of our Gold Rush activities on the history page. Jeanie Clark, senior class teacher.